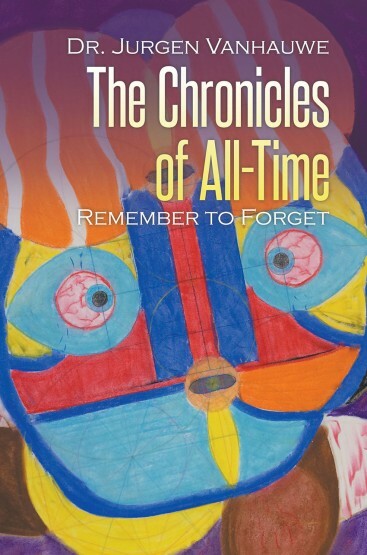 The Chronicles of All-Time is a series of books that describe the nature of time, space and reality with a central storyline, the life of Dr. Elliott Himmerept. Very much like the best-seller book “Life of Pi” this book describes the amazing awakening story of Dr. Himmerept, which is an alias for the author, Dr. Jurgen Vanhauwe. Through his visits to Heaven, which are described in this first book, and many strange occurrences in his perceptual reality, a multi-cultural and intergalactic story starts to develop. The entire series will help young and adult readers understand the nature of our Universe and the multi-faceted role that we play during our human life experience. 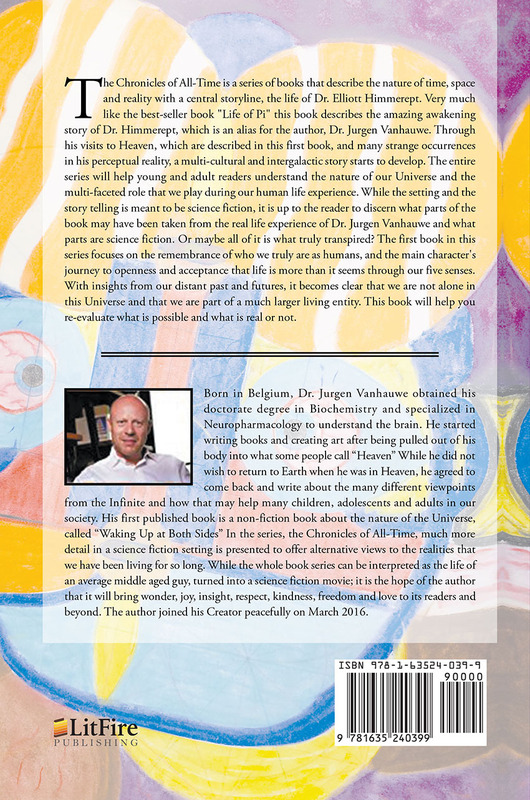 While the setting and the story telling is meant to be science fiction, it is up to the reader to discern what parts of the book may have been taken from the real life experience of Dr. Jurgen Vanhauwe and what parts are science fiction. Or maybe all of it is what truly transpired? The first book in this series focuses on the remembrance of who we truly are as humans, and the main character’s journey to openness and acceptance that life is more than it seems through our five senses. With insights from our distant past and futures, it becomes clear that we are not alone in this Universe and that we are part of a much larger living entity. This book will help you re-evaluate what is possible and what is real or not.